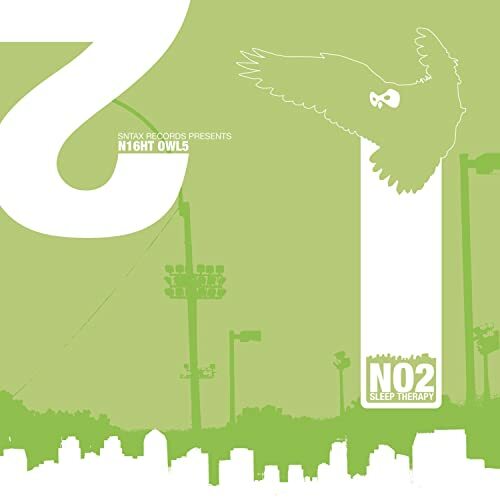 Here is A Small Look At A Dope Album, "Night Owls 2: Sleep Therapy"
So alongside members of Syntax's roster, such as Future Shock, Luke Geraty, etc, they showcase underground favourites such as LA Symphony and new acts such as Science Project and JustMe (formerly Sage of Solseekers). We get the humourous punchline-filled tracks like "Apples And Oranges" by Chuck Dimes, or the remix of "Somebody Broke Wind" from his Neighbourhood Watch compadre, Nomadic The Journeyman, the deep and emotive cuts such as SintaxTheTerrific (Deepspace 5 member)'s "Dramamine" or Luke Geraty's "Drowning In My Dreams", the speaker-banging anthems from LA Symphony and Science Project who both impress with the brilliant "King Kong" and "Backbone" respectively. However, three cuts in particular caught my attention. Overflo, from the Stowaways, brings the excellent "Jail Cell" with a musical nod to the Dilated Peoples circa "The Platform", Locke's "Only A Moment Away" which features Acts 29's Braille, rides a deliciously jazzy beat to convey their optimism despite the struggles they face in hip-hop.